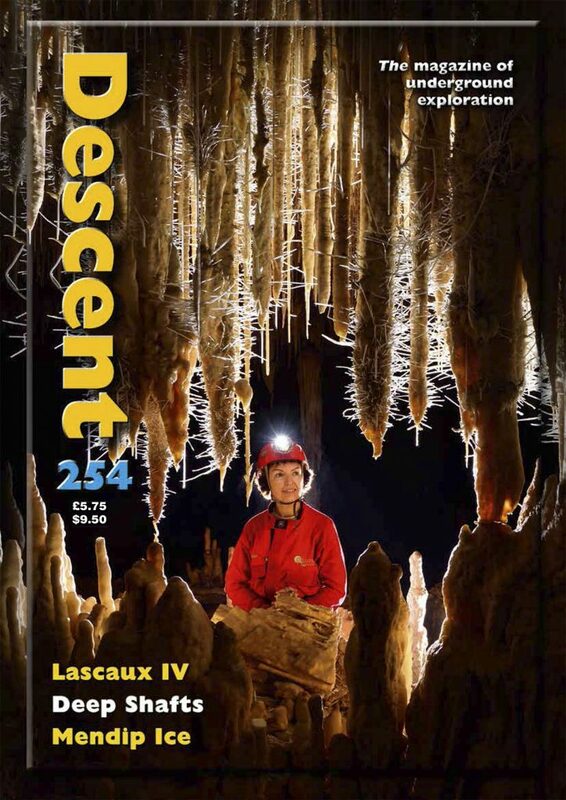 Descent 254 is now available! The latest issue starts with a three page Newsdesk spread with a quick fire round up of news from around the world. 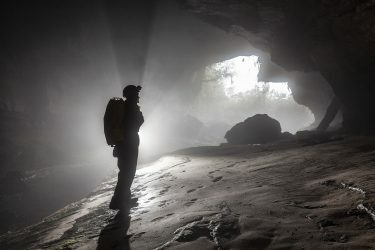 Amongst other things, there’s a course on new cave surveying techniques coming soon in South Wales on 18 – 19th February and a BCRA filed meeting on Gower over the weekend of 19 – 21st May. The BCA is organising a weekend at the end of the year, from 1 – 4th December at the Royal Geographical Society in London. The aim of this is to showcase British caving discoveries at home and abroad over the last 25 years. A new environmentally destructive mining industry has sprung up in the permafrost of northern Russia where high pressure hoses are used to uncover valuable mammoth ivory, leaving behind massive tunnels and caverns. I’ve recently seen mammoth ivory for sale in the Dordogne and wondered how morally sound it was. Now I know the answer. It might not entail killing animals, but it does irreparably damage the landscape. 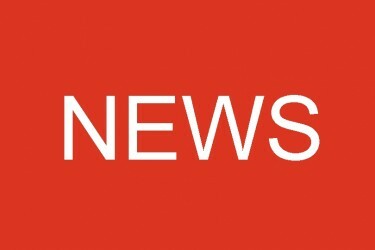 The BCA is seeking comments in conjunction with a review of its child protection guidelines. The Karst Information Portal, as free online library with details of caving-related reports and publications has added new items to its website and the BCRA have started publication of Eli Simpson’s photos and record books, which are held by the British Geological Survey. This fascinating archive comes with a warning – once immersed, you’ll find it difficult to tear yourself away! Wildplaces Publishing have announced that a new publication, Adventures Underground, is coming soon. Written by Dave Haigh and John Cordingley, this picks up where the 1952 classic by Arthur Gemmell and Jack Myers, Underground Adventures, left off. All this has only just scratched the surface of the immensely informing Newsdesk, so don’t miss out, get your copy now. In Ireland, a new full colour issue of Irish Speleology is now out and a new caving forum has been set up following the SUICRO Symposium last year to encourage dissemination of information between cavers and from locals to the caving community. 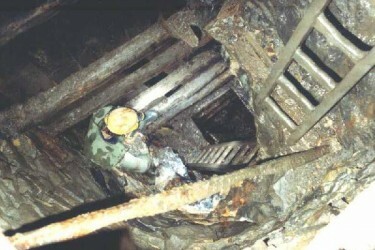 Mine and Mining news talks about the conservation work being undertaken at the Coniston Copper Mines and the exploration being carried out in a series of fascinating tunnels beneath the Edge Hill district of Liverpool. Planning for the 2017 NAMHO conference is also well underway. In International news, exploration has been restarted in Sistema Huautla in Oaxaca in Mexico, and in April 2016 3.5km of new cave passage was discovered and mapped. Anyone who enjoys digging will like the report by White Rose cavers on how Hagg Beck Sink was discovered, and there’s an article on the allure of Scottish digging by Stu Lindsay, but if digging isn’t your thing, then just sit back and enjoy the account of someone else doing all the hard work! And talking of hard work, after years of planning and a cost of around 57 million euros, the new replica of Lascaux cave has opening in the Dordogne region of France. A three page full colour spread takes the visitor on a tour of Lascaux IV, a truly outstanding piece of work. Cave scientist Gina Moseley explains how ice in ancient times has left its mark on Mendip caves and gives examples of cryogenic cave crystals in Reservoir Hole and Wookey Hole. An account is given of the latest deep shaft discoveries in Spain and there’s a stunning survey of Torca Del Porron in Cantabria. Sadly, the caving world has had to say farewell to one of its stalwarts, the indomitable Chester Shaw. Bill Nix shares his memories of his friend and tells the tale of a trip to Greece in the company of Jim Eyre, as well as reminiscences of the things Chester used to do with his famous tin leg, including jamming it across a rift to use as a belay! Anyone who went to EuroSpeleo can have fun looking for themselves in a two page compilation of photos, and there are the usual book reviews and caption competition and even a poem by Andy Kendall on the joys of a cave photography trip. As ever, Wildplaces Publishing have put together a beautifully present issue absolutely jam-packed with information, presented in a visually stunning and accessible format. Copies can be obtained from them here. Make sure a copy lands on your mat every time it appears by taking out a subscription, and also check to make sure that yours if us to date!